OARS has been in the whitewater rafting business since 1969 and we know the difference between a good adventure and a great adventure. We understand that when you spend your hard-earned money on an experience, you want it to be exceptional. 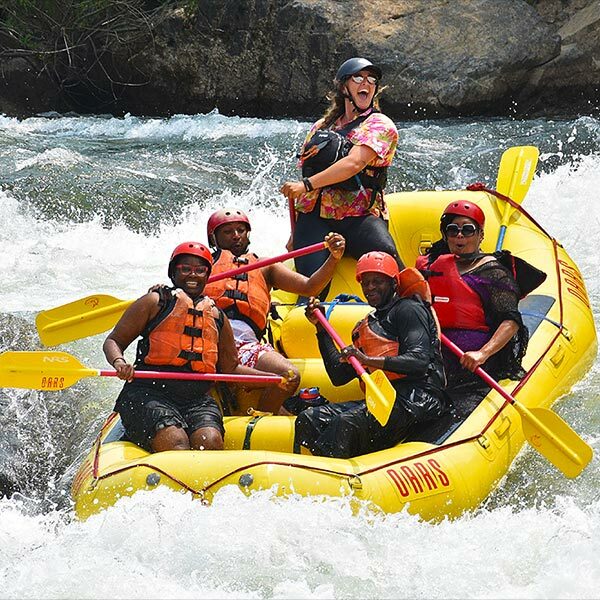 A one-day whitewater rafting trip with OARS includes friendly and professional guides, top-quality equipment, incredible scenery, and big fun. But it’s more than just that. It’s the laughs, the thrills, the stories, and the comfort of knowing you’re in good hands. The OARS one-day experience is about taking a quick break from the grind, doing something exciting, having fun, and being outside. It’s about getting splashed with cold water on a hot day and laughing so hard you almost fall out of the boat. It’s the anxious feeling you get right before you drop into a big rapid, and the huge smile on your face when you come through on the other side—drenched from head to toe and more alive then you’ve felt in a long time. But more than anything, the OARS one-day experience is about letting loose with your friends or family, and creating memories that will last a lifetime. Ready for a fun-filled day of adventure? Our guides, who are the single-most complimented component of our organization, will explain in detail what you can expect and answer any questions you have before hopping in the boat. After all, we want you to have an unforgettable experience. Your trip leader will provide a detailed safety talk and distribute the appropriate gear. 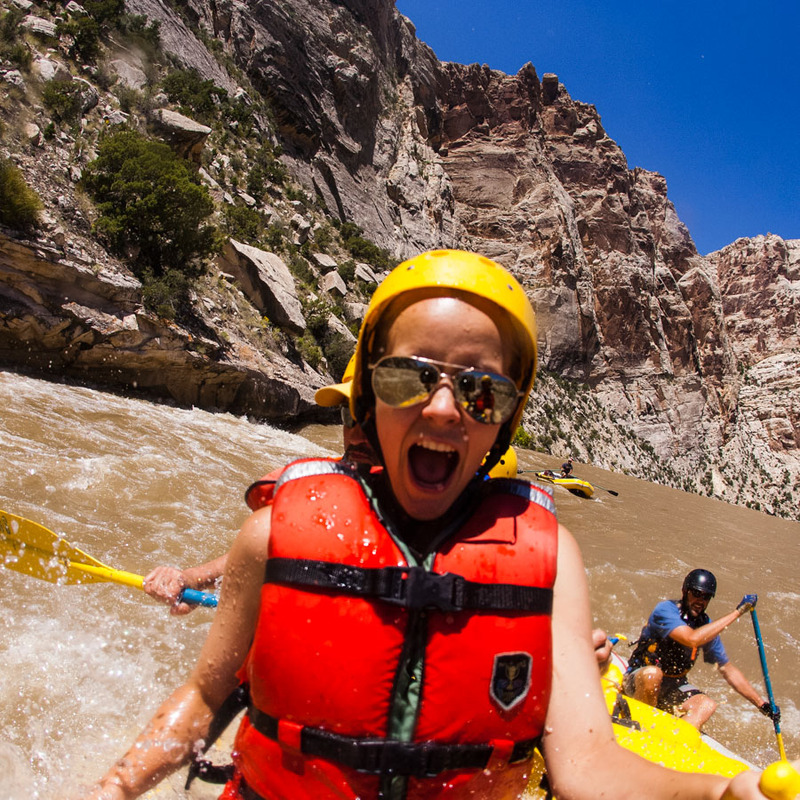 On our one-day rafting trips that means helmets, Personal Flotation Devices (PFDs), and paddles. On early-season trips in California and Utah, we also provide wetsuits. OARS’ boats and equipment are top-of-the-line and well maintained. After a quick gear check (making sure those PFDs are nice and tight! ), you’ll hop into a raft with your guide and fellow rafters. 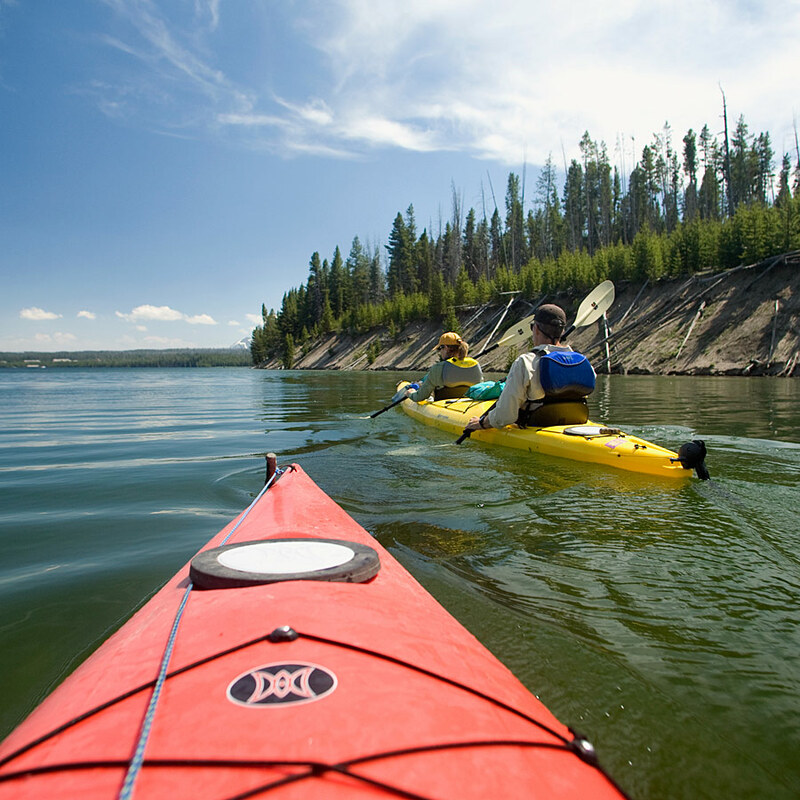 Depending on the river you’ll either be in a paddle raft or a paddle raft with oar assist. Sharing a boat for the day is a great chance to bond with your family and friends, or meet new friends. Now the real fun begins. Get ready for some whitewater! 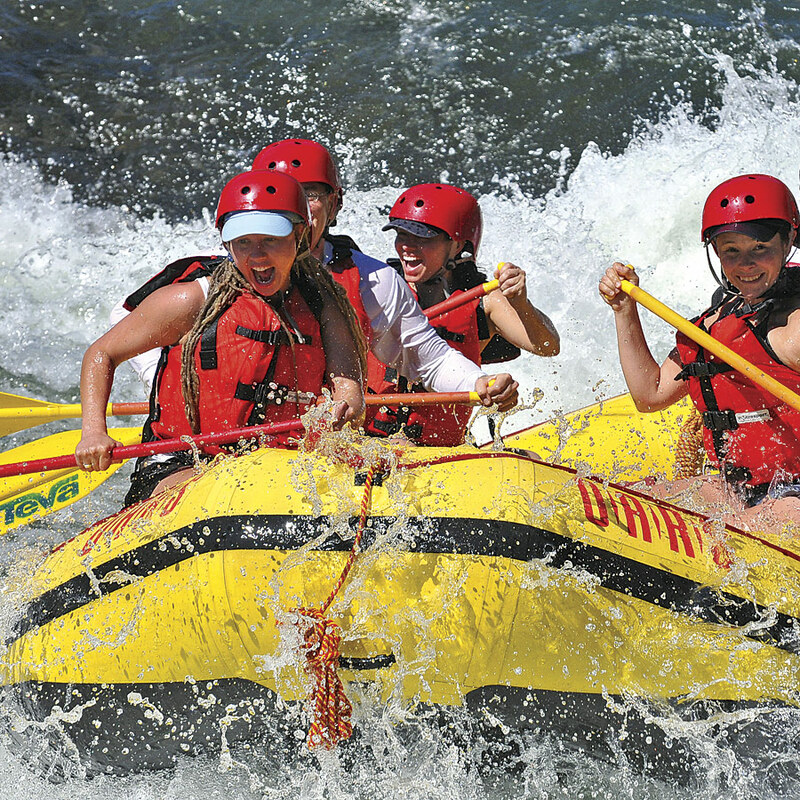 OARS one-day rafting trips offer everything from moderate, Class II-III floats like our Split Mountain Canyon rafting trip on the Green River in Utah to thrilling Class IV runs like California’s Middle Fork American River, which boasts the notorious Tunnel Chute rapid. Don’t worry; we’ll help match you with the right experience for your group before you go. On most rivers there are stretches of flat water so between thrilling wave trains, big splashes and fun drops, you can take in the scenery, wildlife and unique geology of the river canyon. *OARS half-day trips do not include lunch. After lunch, you’ll return to the rafts for more thrills before eventually arriving at the take-out. Once at the take-out, the guides will be busy packing up gear and equipment for the return trip back. You might be asked to help in some capacity, but you’re always welcome to opt out if you wish. As the shuttle gets ready to depart, grab a cold soda from the cooler for the trip back to your car. Then, bask in that feeling of accomplishment that you get after an action-packed and thrilling day on the river. 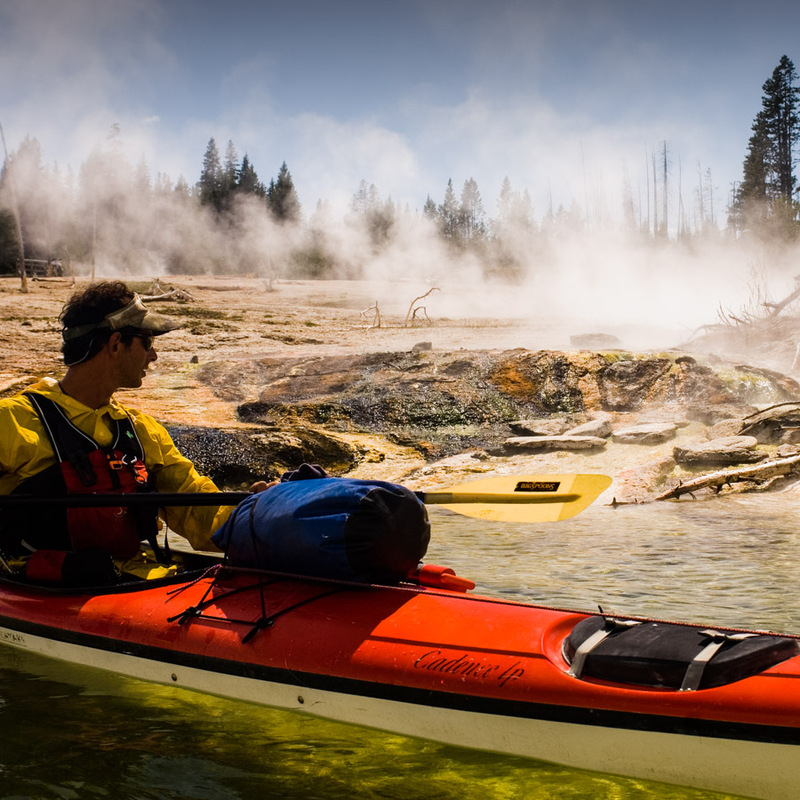 Beyond one-day rafting trips, OARS also offers a ½ day sea kayaking trip on Yellowstone Lake in Yellowstone National Park, which is a great way to take a break from the car, be active, and explore some of the park’s geothermal hot spots. Which one-day adventure is best for me? When choosing your trip, consider the location, time of year, activity level and age range of your group. 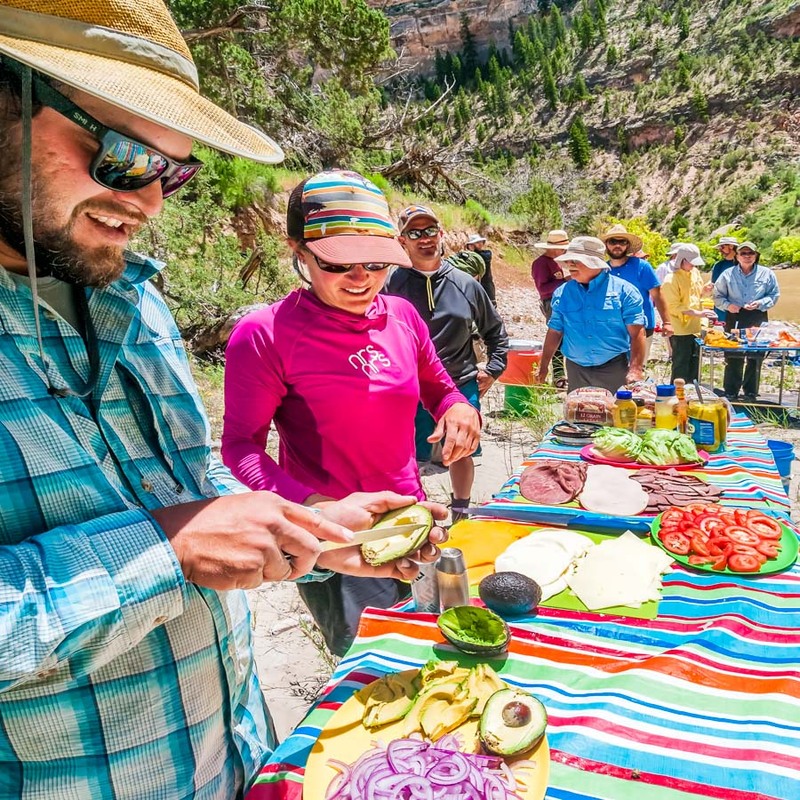 OARS offers one-day trips in California, Utah and Wyoming, and as far away as Fiji with activity levels ranging from leisurely paddles, to adrenaline-pumping experiences. The choice is yours. 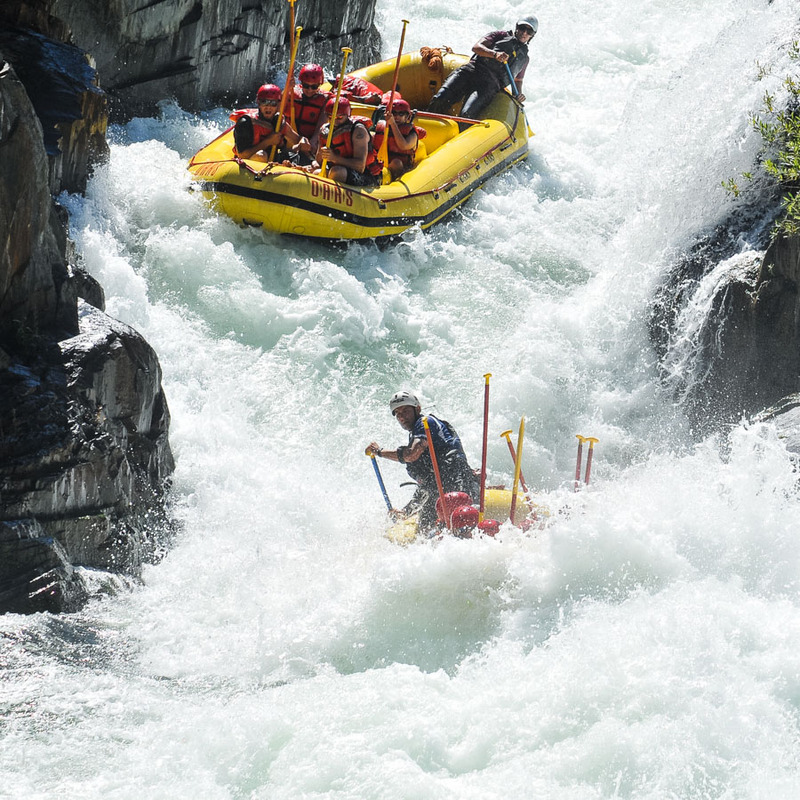 Are the rafting trips all whitewater? No. 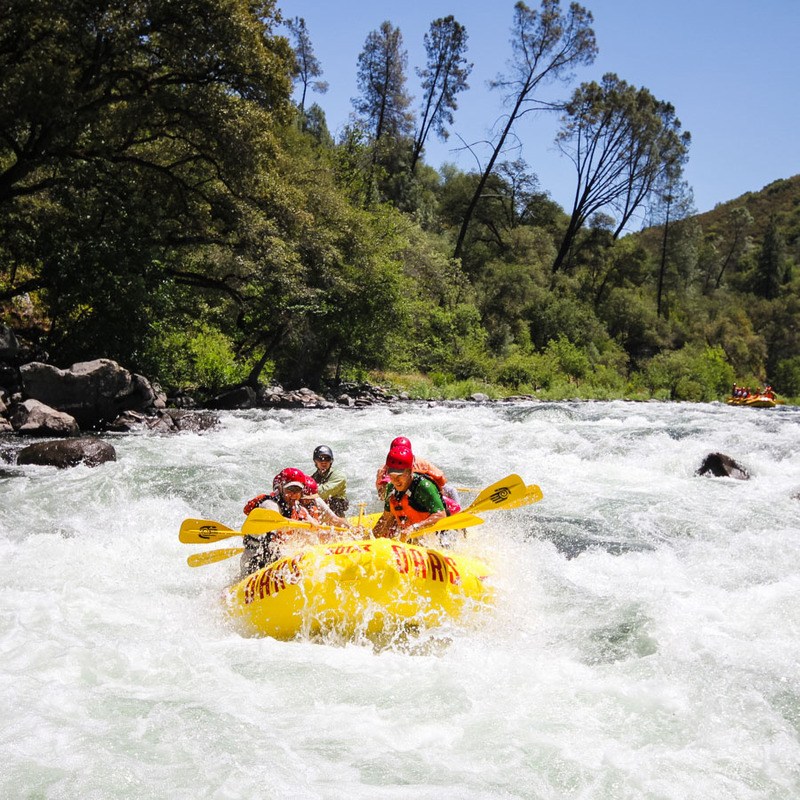 Most rivers are “pool and drop,” meaning there are exciting rapids interspersed with stretches of calm, relaxing floating, allowing you time to soak up the natural serenity. From a casual Class I float to maximum intensity Class IV & V whitewater, the ride itself is a lot of fun. The chances of getting seasick are very low. 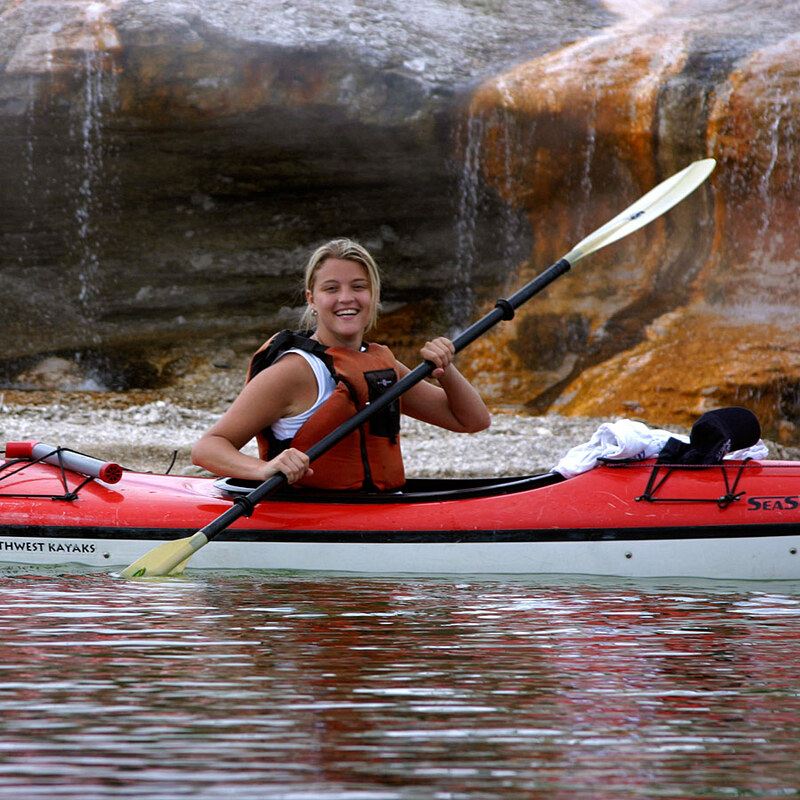 River running, and even flat water sea kayaking, is not like being on the sea and does not seem to induce seasickness. Do I need to be young and fit to go? OARS adventurers range in age from 4 to 84 and older. There are some physical requirements for joining our trips, weight restrictions may apply, and being healthy and reasonably fit certainly makes the experience more rewarding. People with medical conditions, including pregnancy, should have a physician’s approval before taking an adventure travel trip. Persons with various disabilities are welcome on OARS trips, pending a discussion of any special requirements. If you’re in doubt about your level of fitness, we recommend checking with your doctor before you go. 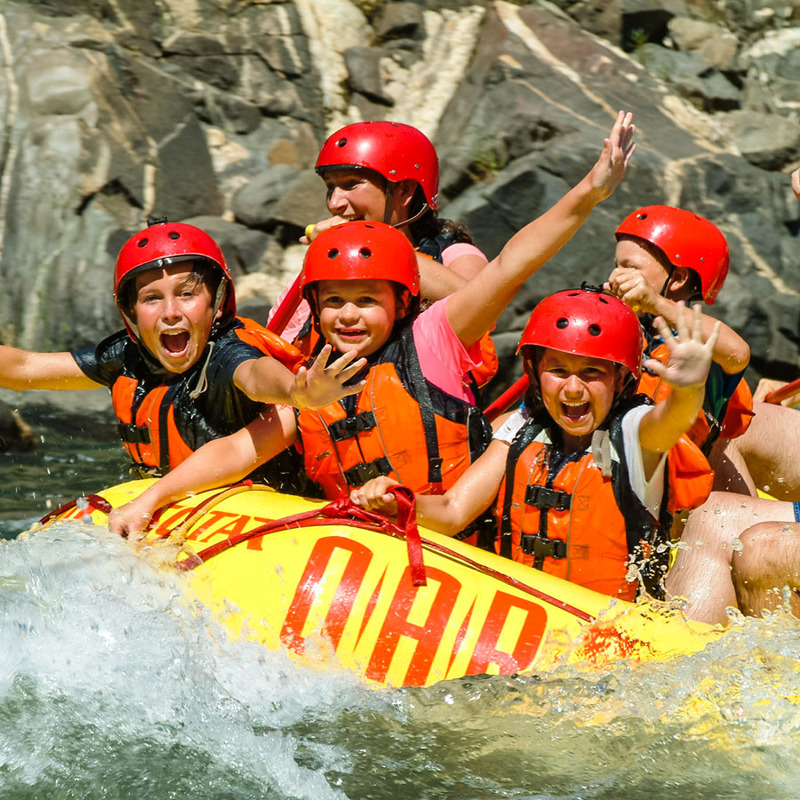 OARS invites children as young as seven on many of our one-day rafting trips and sea kayaking adventures. All OARS guests must wear our Coast Guard approved Personal Flotation Devices (aka PFDs or life jackets). Should you fall out of your boat, the PFD is designed to float you face up in the water. Before you get into your boat, however, our guides will give a detailed safety talk and show you how to properly “swim” a rapid, or what to do if your sea kayak flips. Please be advised our U.S. Coast Guard approved PFDs are rated to accommodate persons no heavier than 260 pounds and with a chest size no larger than 56 inches. We are experienced at accommodating people of all ages and abilities. What should I wear and what personal items should I bring? Additionally, on spring and fall trips you should always be prepared for quick-changing weather. Bring layers, and if you can, avoid bringing cotton clothing, which not keep you warm once it gets wet. On early-season trips in California and Utah, OARS will supply you with a wetsuit. We encourage you to watch our What to Wear & Bring video for more details. Of course! We typically provide a small waterproof bag on each raft (17” tall x 9” diameter—approximate sealed size) to hold your camera and other items you might need during the day. While these bags are designed to be waterproof, you may wish to place your camera in a zip-lock plastic bag or waterproof casing for additional protection. Disposable waterproof and panorama cameras are also a fun option. Guests often ask whether gratuities are appropriate, and in what amount. If you feel your guides have provided a very special trip for you, a gratuity may be left with the trip leader and will be shared among the crew. Entirely discretionary, anything between 5% and 10% of trip cost is a general tipping guideline. If you plan to tip, remember to bring a personal check or cash. One of the more mysterious parts of a rafting or sea kayaking adventure in the backcountry is the toilet. 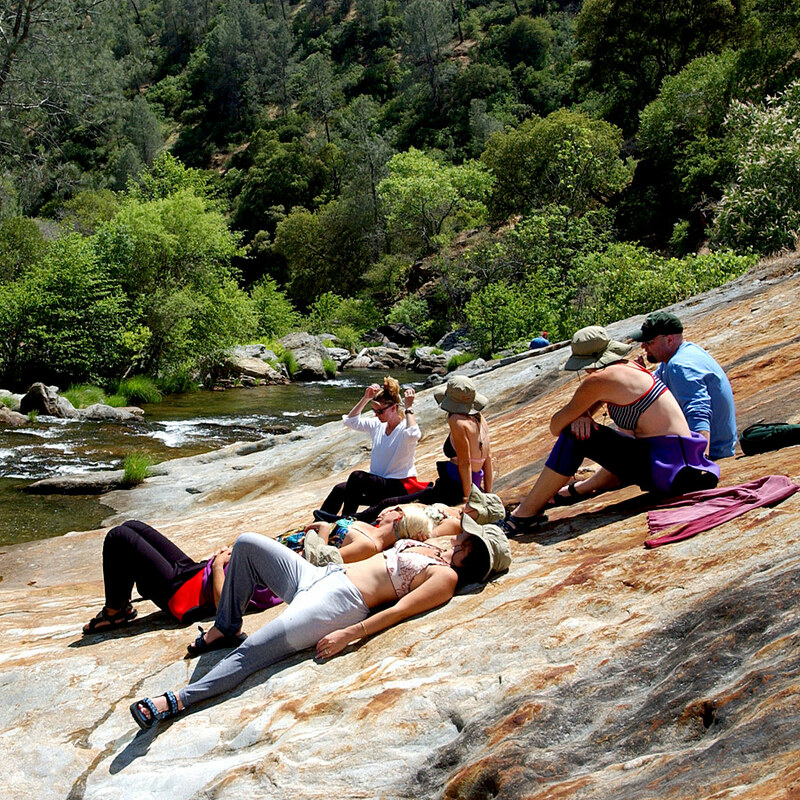 Before the trip, your trip leader will provide a detailed explanation on the protocol for going to the bathroom on the river or in the backcountry. On some trips, the lunch stop provides an opportunity to use a conveniently located pit toilet, but this is not guaranteed. We also carry a small container called the “day tripper” that can be easily accessed during the day should the need arise. It is a personal disposable toilet, which includes an odor-proof transport bag, chemical solidifier and odor eliminator, toilet paper and oversized hand wipe. Alcohol is not permitted on any of OARS one-day trips. Yes. The U.S. Forest Service, the Bureau of Land Management, the National Park Service and the state’s park services are charged with protecting our wilderness. Members of the OARS Family of Companies are proud to hold permits with these agencies, allowing us to conduct trips on protected land and water that might otherwise be inaccessible to most members of the public.